A portion of the cleared land with a good view. The property has a mixture of hardwoods and open fields. There is a small stream on the property as well as a pond site. The property has paved state road frontage and also access on a private gravel drive. 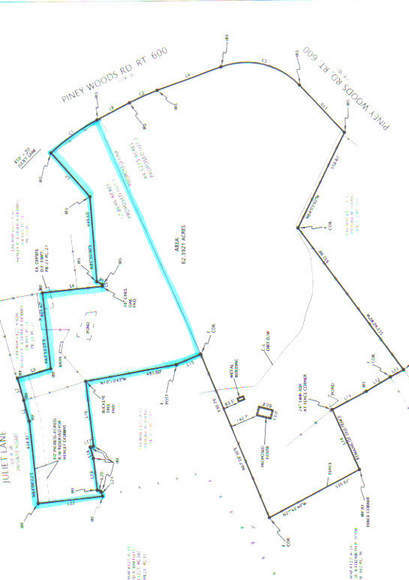 This tract is located near Christiansburg and Radford with a short commute to both. There is plenty of room for horses on this tract. The land fronts on both a paved state road and a private gravel road.